If you like the look of the Moto 360 but you'd really rather have a smartwatch made by Samsung, you could be in luck - the latest patent application from the Galaxy gang shows off a watch with a round face. 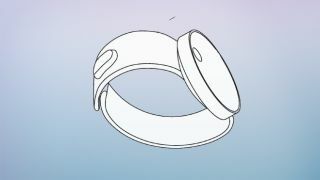 The designs and drawings are used to illustrate a new way to control your next Galaxy Gear, mainly by gesturing madly around it with your other hand. Yeah, that's not going to make you look crazy on the bus. Other sensors are being mooted, including a barcode reader, fitness tracker, image search, translation tools and object recognition. Another figure suggests that this will be more of a wearable than a watch - it suggests you'll be able to wear the device round your neck, clipped to your chest, on a belt, on your upper arm or on your hip as well as on a strap around your wrist. It's not clear if the device in these patent filings would run Android Wear or Samsung's own Tizen interface - we'd suspect the latter though.